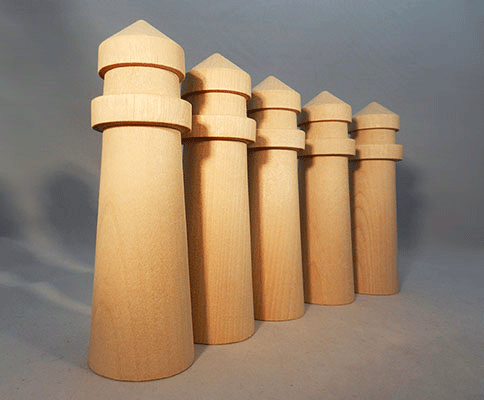 Wooden lighthouse, turned hardwood 1-3/4" by 5-1/2"
Fantastic quality wood lighthouses for any project or craft! Smooth hardwood houses for your project. 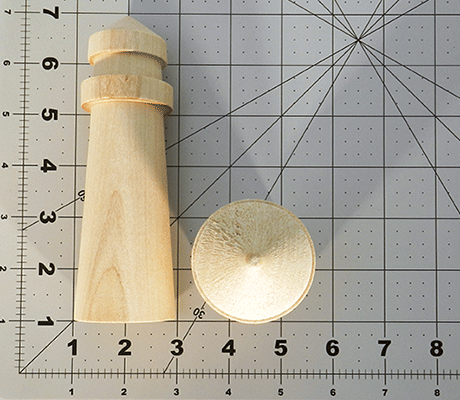 High quality and available in many sizes. Plus, check out our variety of blocks, discs, squares, balls, rings, tiles, rosettes, ladybugs, fruits, people, and much more! The product was exactly what I was looking for. These are well done, good clean detail.